Purchasing a snow melting system for your personal or commercial property is an important investment that can increase your property value. Radiant heat systems are versatile and easy to customize so they can be installed in most mediums, including concrete, asphalt and brick or stone pavers. 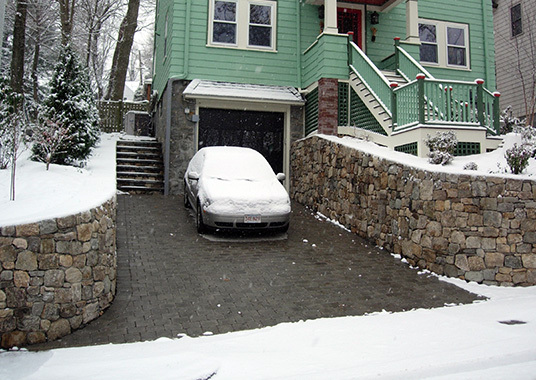 Snow melting systems are fully automated, and can add a level of safety and convenience to your property during cold winter months. 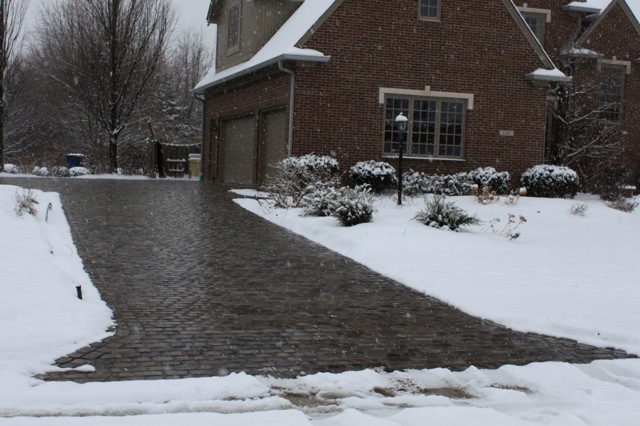 When considering a snow melting system, the process of purchasing and installing begins with the design. This is where working with experienced professionals pays off. Warmzone’s design and engineering services are second to none, which is one more reason why construction professionals regularly turn to Warmzone when it comes to installing radiant heat. While designing a snow melting system may seem like a simple matter of using the proper components, the fact is that quality components are only a small part of the process. Radiant heating systems are only as good as their installations, so proper design is crucial. Successful installations are made easier with well thought out and planned designs, which are key to the system’s proper performance. In regards to the power requirements, homeowners should be familiar with the following basic guidelines. One 30-amp breaker supplies enough power to heat a 170-square foot area. To heat a driveway of 350-square feet, two 30-amp breakers (or one 60-amp breaker) would be needed. Homeowners can check their home’s main breaker panel to see the power coming into the house. (Typical homes feature either two 100 amp panels or two 200 amp breakers. These are located at the top of the main breaker box above the main breaker panel.) But when looking to install radiant heat, the bottom line when it comes to power requirements is that an electrician is ultimately the one to address all the power issues. If you have questions about available power, contact Warmzone and we’ll be happy to assist you. After you have measured the area that needs to be heated and evaluated your power availability, it’s time to consider the system’s location and weather conditions. This includes altitude, average snowfall, and average winter temperature. Using these factors will help determine what layout and components will be best suited to your project. The basic components needed for an automated snow melting system include an aerial- or pavement-mount snow sensor, a heating element, and master controller. A good design will also include all the breaker and power-related information for the system. Example of a snow melting system in action. At Warmzone, industry leading products like ClearZone heat cable can be easily laid out in custom configurations to meet the specific needs of your project. All in all, working with professionals who include system design and layout services will minimize issues that may occur with installation, and can save you money and time. With Warmzone’s unparalleled customer service and installation support, there is help available at anytime. If you have further questions or are interested in a free quote, please visit our website or contact a trusted professional at 888-488-9276. Multiply the total watts-per-square footage by the watts-per-hour. This gives you the cost-per-hour of usage for the snow melting system. EXAMPLE (for an 800-square foot driveway): 800 (sq.ft.) x 37 (watts) = 29,600 (total watts). 29,600 divided by 1,000 = 29.6 kw per hour (This is what the power company will charge you per one hour of operation.) The average utility rate is .12 cents, therefore: 29.6 x .12 = $3.55. The cost of operation would be $3.55 per hour. NOTE: Heating cables and mats are rated in total watts. If the snowmelt system is intended for a commercial application, then you would multiply the total square footage by 50 watts to determine the total wattage required.